For a while now there has been a lot of conflict and proxy wars on the Zim music scene over copyrights and the right to distribute music and videos online. The issue has many facets and I will attempt to dissect & give my thoughts .In the absence of a properly organized and fully functional music industry the sector just like the main stream economy operates like a black market with real and imagined cartels, cabals and kingpins. These things may seem minor, and of no significance but they have a huge bearing on who gets played and who gets paid. We have a group of bloggers and online distributors who have over the years built a huge following as they pushed songs, albums and videos and often times giving a push and limelight to unknowns to stardom. Whilst it’s easy free to create a YouTube, Soundcloud account, most artists or their managers either didn’t have one or had no clue how to manage let alone build traffic & following. So the tech and social media savvy Zimbos saw an opportunity (before some of the platforms could even be monetized). Young and up and coming artists saw the window and rushed with their content (unaware about copyrights). The bloggers pushed the music and a good number of artists blew up & the music reached the streets & promoters started calling. Managers came in. New management unaware of the contribution of the bloggers and at times in genuine pursuit of proper content management, distribution & clamping down on piracy then decide to withdraw the music (some of it with views in millions). Is the artist and management doing right ? A big Yes. But the challenge is on the process and engagement. 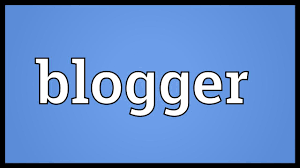 Most artists and management don’t discuss with the blogger but instead file for copyright infringement posing a threat to the existence of the channels. Then some bloggers argue that they can’t pull down content that they pushed to get an audience. The artist and management believe the blogger is cashing in on the artist’s material. Is this true ? How much is it? Then there is another factor and player in the industry the Marketing and Content Management agency whose sole intent is to create business by helping artists get accounts and manage their content for a fee. Their role is often causing friction between the former and the artist similar to the Uber vs Metered Taxi operators. All wanting to ‘help’ and make business with creative content but with different methods to it. The biggest attraction to the marketing agencies is often the lure to get certified accounts, VEVO accounts, iTunes and other platforms with better analytics and payment systems. But the question is: which artists are targeted by agencies ? Is it the new artist who is yet to blow up or it’s that artist who has passed through the hands of the ‘unregistered’ blogger? The bloggers are often times connected to the streets and they feed the streets and from the streets, always keeping an ear for the next big act. Radio Dj’s also feed off the bloggers so as mainstream media. I am not here to defend their operational framework but highlight the crucial role they play, the passion, effort and work they put in. Should they benefit from the artists’ work ? Is the artist not benefiting? Am I promoting piracy? No! How many artists release great music and videos that never see a day? Material that gathers dust on the shelves online? My suggestion is that there is need for common ground and concerted efforts to engage all stakeholders, capacitate all players with information, skills and find a way to rationalize their operations in a way that creates a win win situation. When we did the Zimdancehall & Zimhiphop Summit that was one of the key goals to get the players to converse and come up with working homegrown solutions that help the music industry grow and have less of the tearing down we keep experiencing. Sadly, most artists don’t find reason to participate.